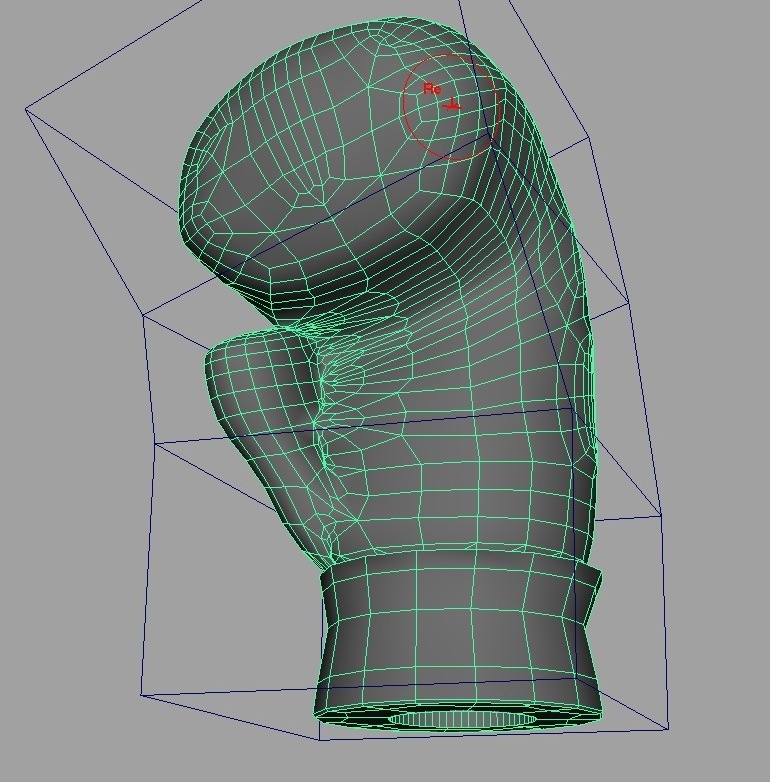 Modeling a 3D-printed boxing glove arrowhead in around 20 easy steps. 6:29 AM Start with a cube. Riveting. 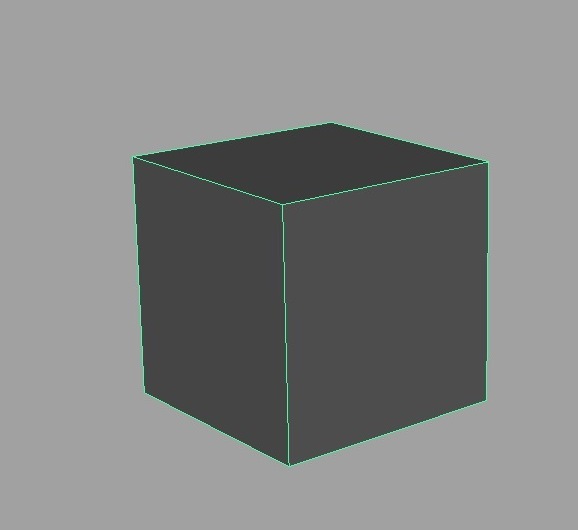 Subdivide the cube and scale it in Y. Pull some points until the cube has the rough shape of a hand. 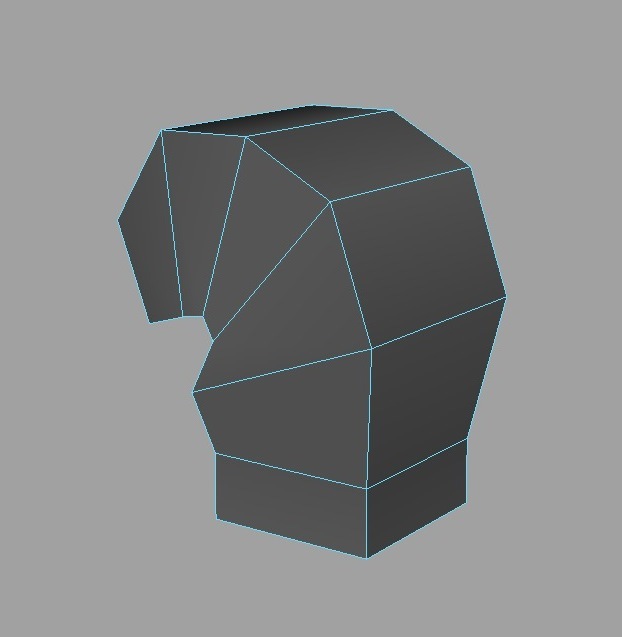 Do a test smoothing to see if the basic shape is going to work out. Looks good. 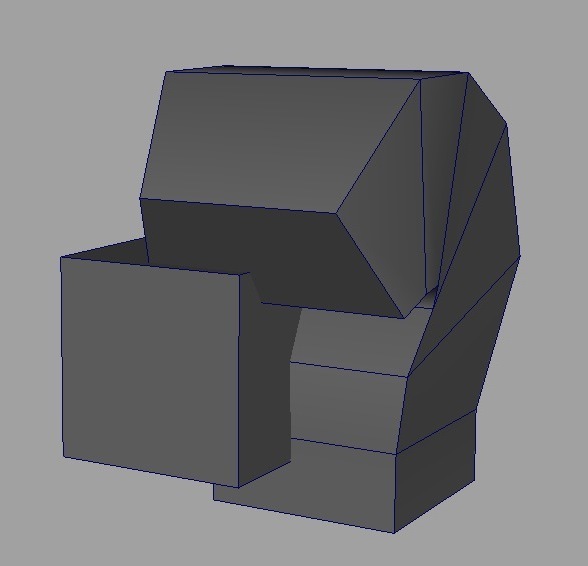 Go back to the low-resolution form and add a cube for a thumb. 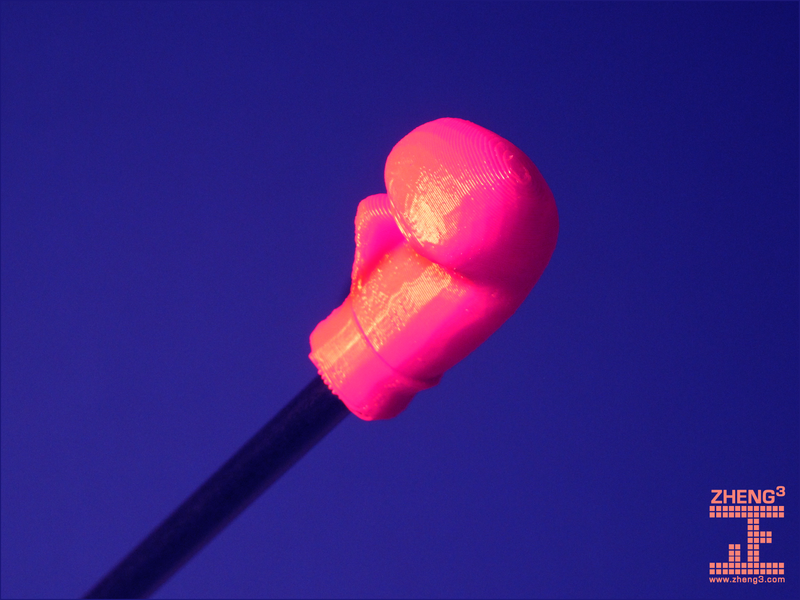 6:44 AM Scale the thumb and add a little detail at the tip and a knuckle joint. Boolean join the two forms. 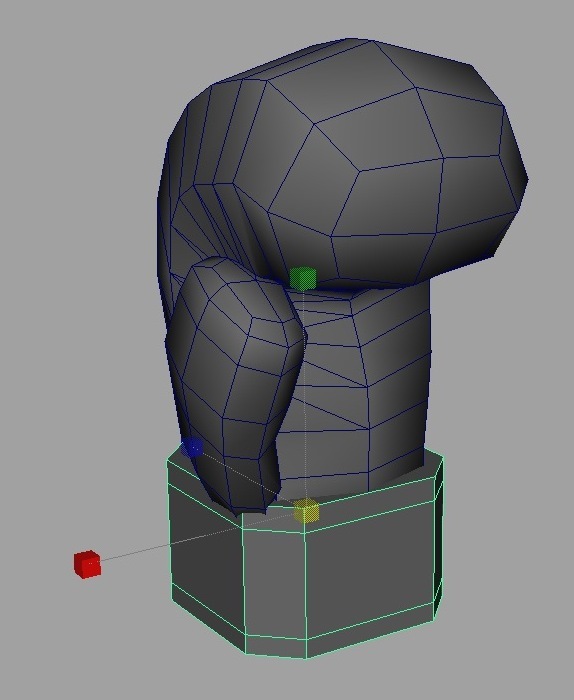 This is going to create some weird geometry at the thumb/hand junction. 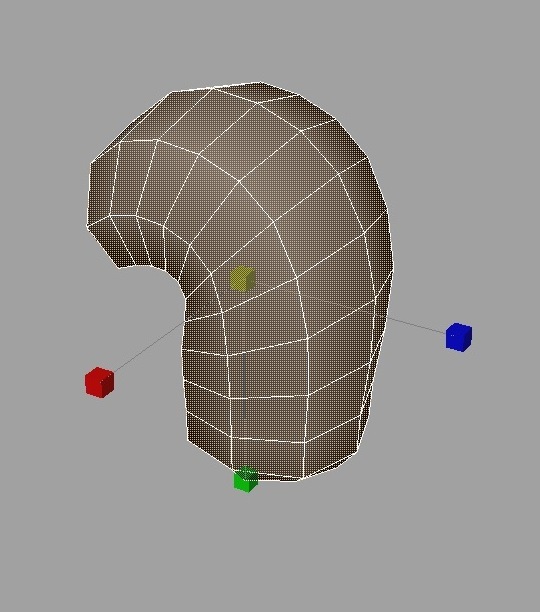 I wouldn’t do this if I was modeling for a video game, but it’s OK here since I’m not going to deform the model much. 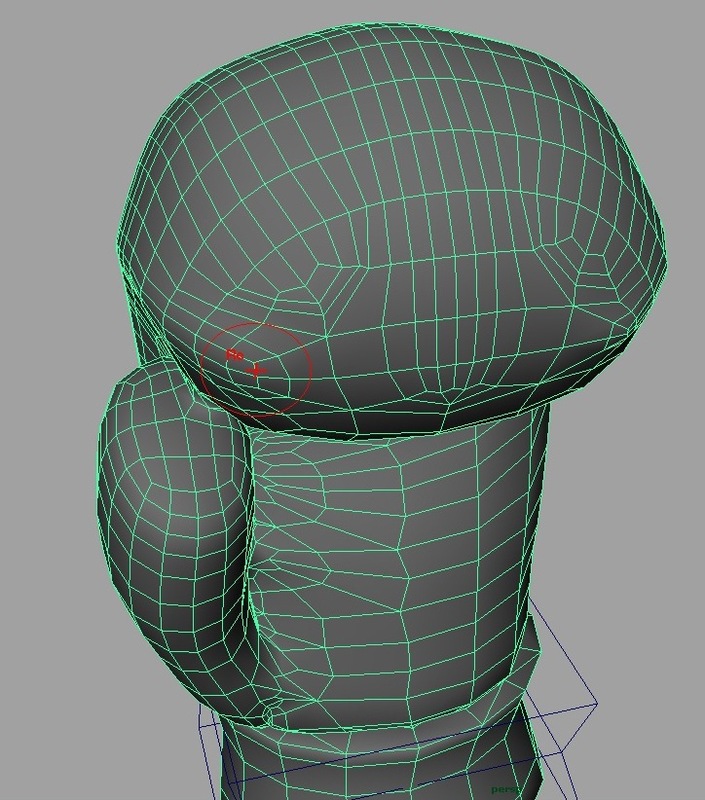 It bugs me on an aesthetic level, but I want to get this done fast and not worry too much about immaculate topology. Add a beveled cube for the wrist. 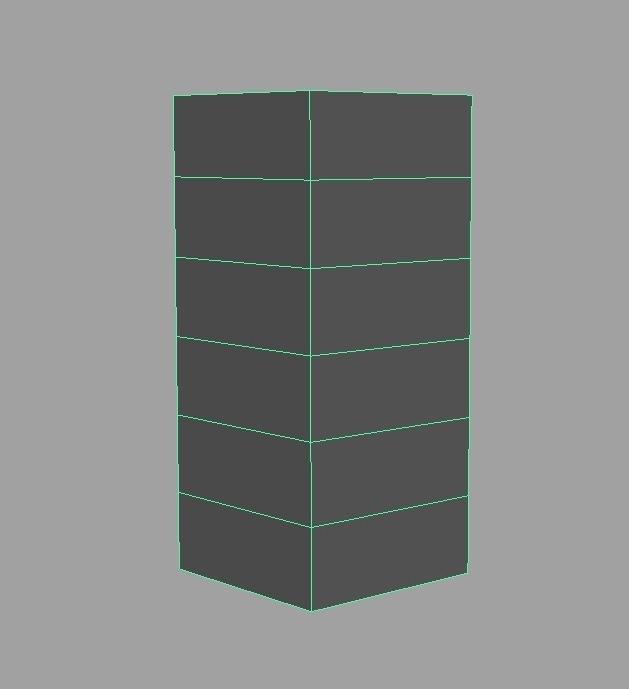 Smooth the cube a bit and squish the insides in with a lattice deformer. I haven’t actually booleaned the wrist to the hand yet. 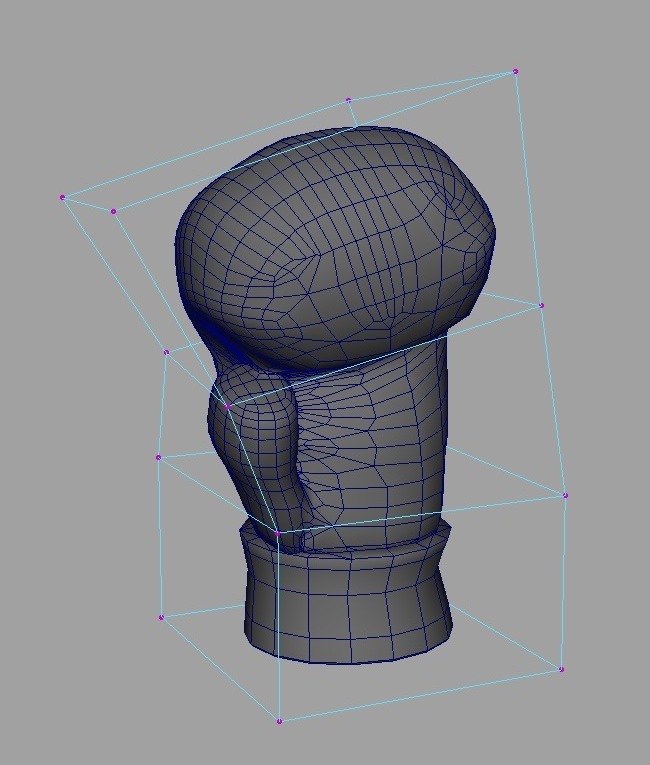 Smooth the hand and use the Sculpt Geometry tool to further smooth out some sharp edges. 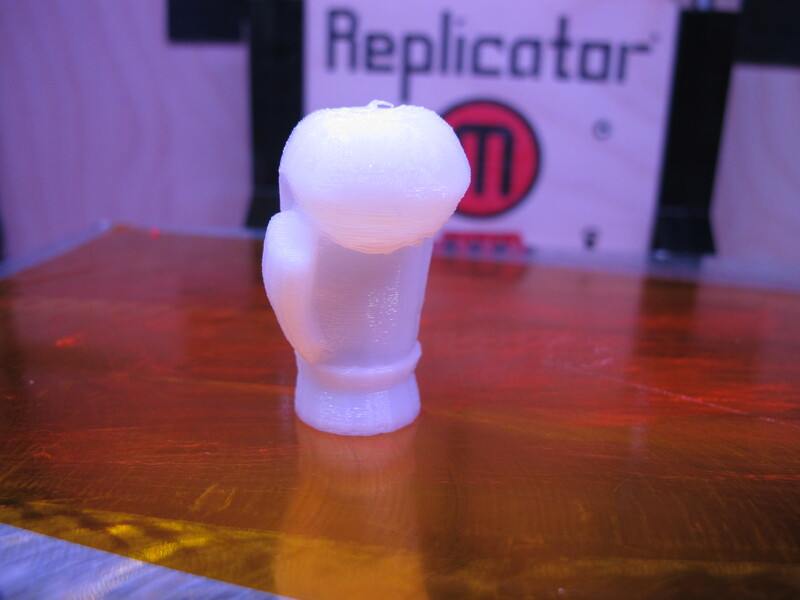 Create a cylinder to punch out the arrow socket. 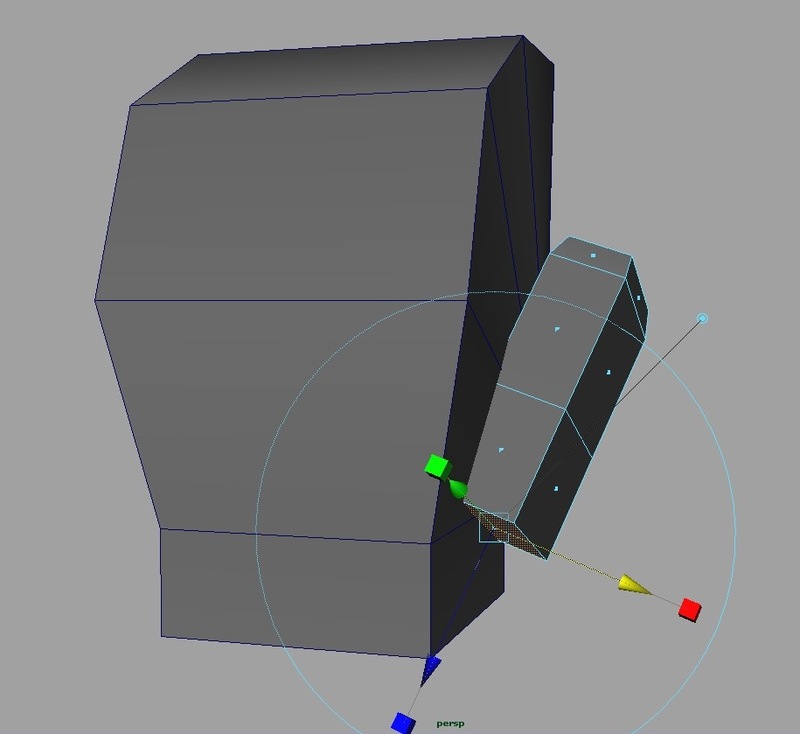 Again, from a video game modeling perspective, this geometry is an absolute mess. It’ll print fine though. Test print! Looks pretty good, but it’s a little stiff. 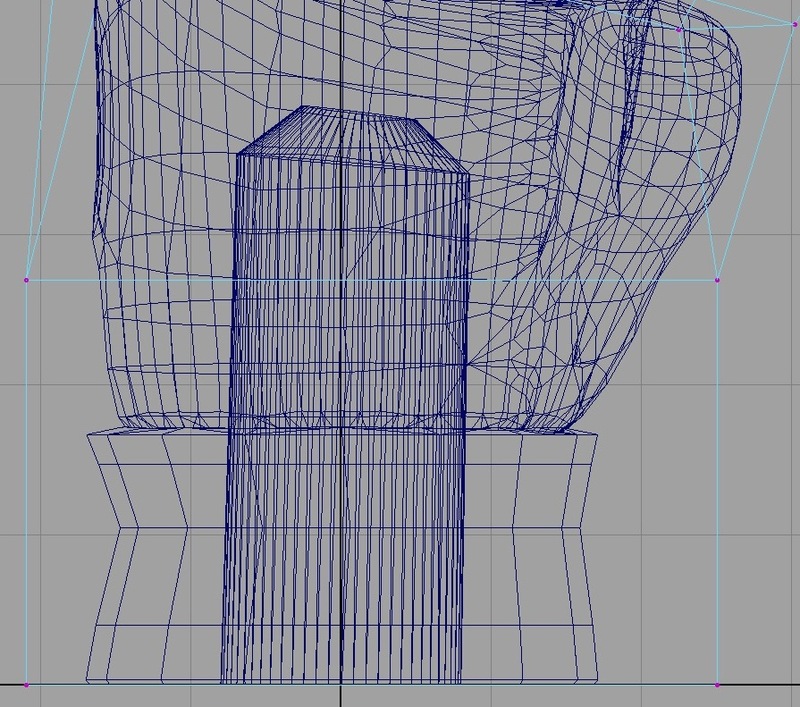 Back to Maya. 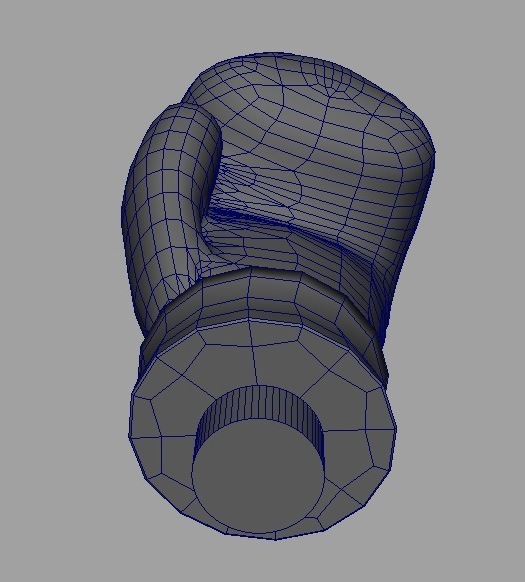 Deform the entire glove with a lattice to give it a little cartoony character. Uh oh. The arrow socket got deformed when I twisted the glove. Easy fix though. I wanted to make the socket just a wee bit larger anyway so the arrow was easier to remove. 7:00: Breakfast break. Did some other things until 8:20 or so. 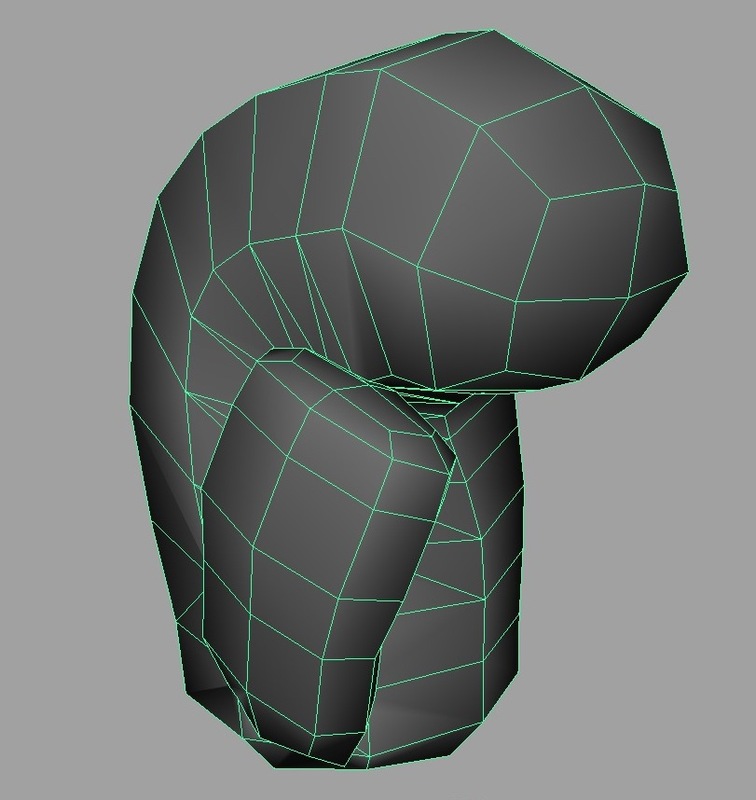 8:24 AM: A final once-over with the sculpting tools to introduce a little randomness in the geometry. Designed to fit these arrows, but will probably fit a pencil too. If the title of this post seems nonsensical to you, check out Green Lantern/Green Arrow #85-86, wherein Speedy gets hooked on horse. 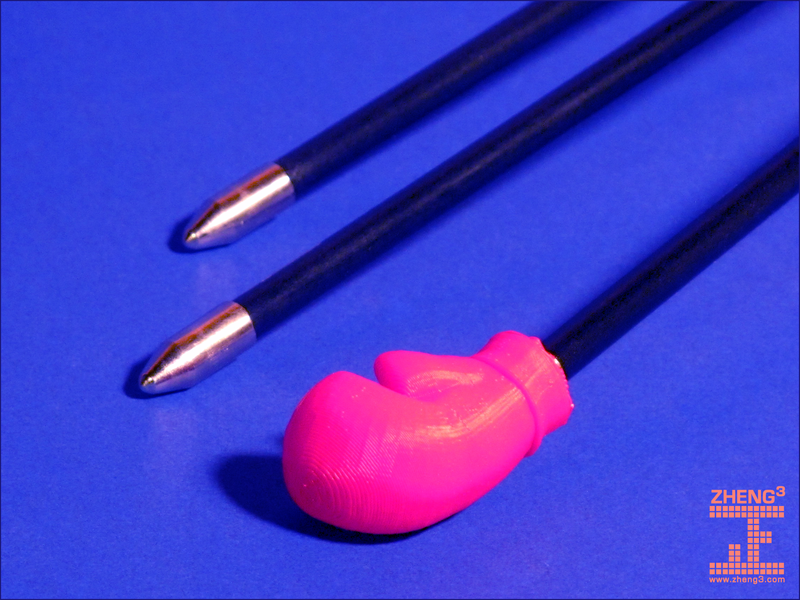 This entry was posted in 3D Printing and tagged archery, arrows, boxing, green arrow, maya, my ward is a junkie, nerd humor on January 2, 2013 by zheng3.